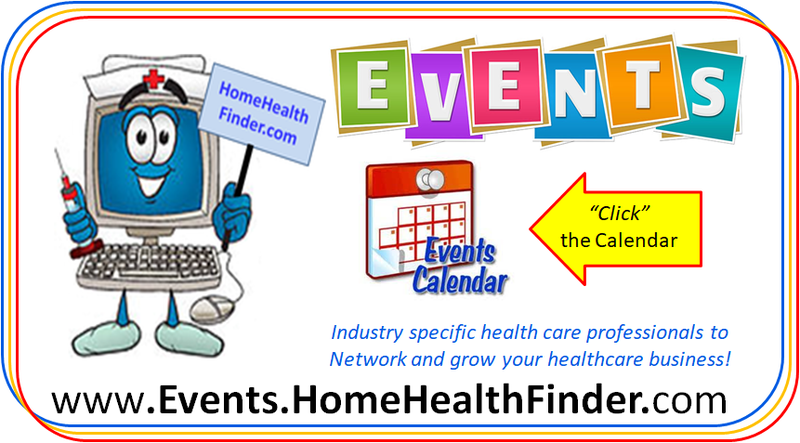 HomeHealthFinder.com prides itself as a free resource tool to aide Hospitals, Skilled Nursing Facilities, LTAC Hospitals, Physicians, Assisted Living Facilities, Home Health Care agencies and private paying individuals to find qualified home health care agencies to follow their patients for home healthcare services. 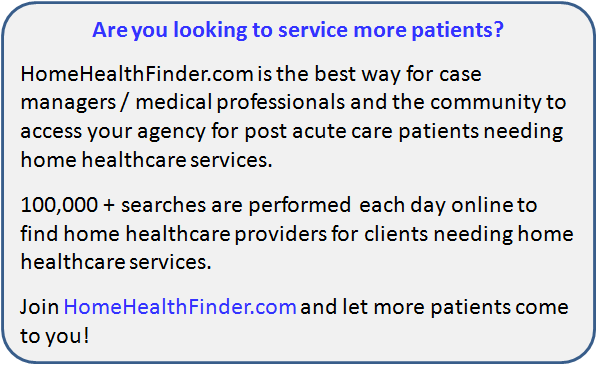 Looking for a Home Healthcare Agency? Would you like to get signed up with other HMO's? Sign up to receive our mailing list.